It may be hard to believe for those who are old enough to remember the day, but it is now 20 years since Kurt Cobain committed suicide. The loss of this incredibly talented musician, who created the sound for his generation, was almost certainly due to drug abuse. Kurt’s death affected millions of people around the world in a profound way, and it caused a similar outpouring of grief similar to the murder of John Lennon almost 35 years ago. Why Did Kurt Cobain Kill Himself? Fans can have all types of odd ideas about why Kurt Cobain took his own life. At the time, many people saw it as a type of protest. He was part of generation X and his suicide was a symbol of his apathy with life – as he once cynically sang “here we are now, entertain us.” There have also been many rumours that he was murdered, but there is no doubt that he was suicidal at this period in his life (he even wanted to call one of his albums ‘I Hate Myself and Want to Die’). 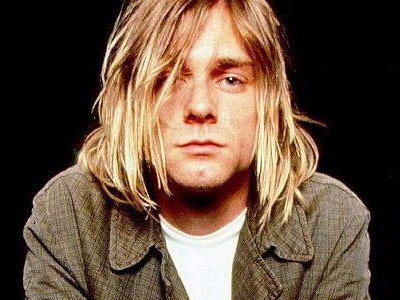 So why was Kurt Cobain so unhappy that he wanted to end his life? He sometimes talked about his unhappy childhood, and there are references to this in many of his songs. This was undoubtedly a source of sadness in life, but plenty of people have unbelievably terrible childhoods but still go on to live a long and fulfilling life. It is not enough to say that Kurt killed himself because of his unhappy early years. One of the things that Kurt often talked about in the last few years of his life was how much he hated being famous. This can seem odd to all of those people who dreamed of being just like him. At the time, many dismissed his complaints about fame as just whining; after all, he could afford to stop being a rock star if he wanted, so to complain about fame seemed a little ungrateful to the fans who put him there. The real reason Kurt Cobain committed suicide was that he had terrible tools for dealing with his problems. He turned to drugs and this meant that instead of dealing with things, he just hid from them by numbing his mind. If Kurt had better tools for dealing with his childhood trauma and feeling so inadequate, he would likely still be alive and making wonderful music today. Could Kurt Cobain Have Been Saved? At the time, there was a sense of inevitability about the suicide of Kurt Cobain. The signs that it was going to happen were there, and he was basically an accident waiting to happen. Kurt did stay in a rehab just before his death, but he checked himself out before the end of treatment. If he had just held on and developed the tools he needed to find happiness, it could have been a completely different story. Instead of being dead, Kurt could be here to inspire people who are struggling with feelings of inadequacy and negativity. He could have been a beacon of hope.